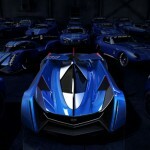 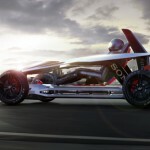 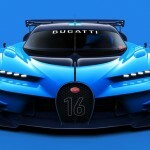 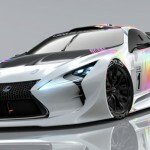 Gran Turismo fans will soon get a new car option, Alpine Vision Gran Turismo will enter the virtual world of car racing. 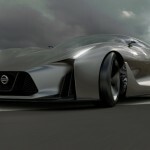 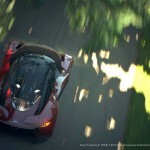 This concept car would become the latest virtual prototype for gamers of Gran Turismo around the world. 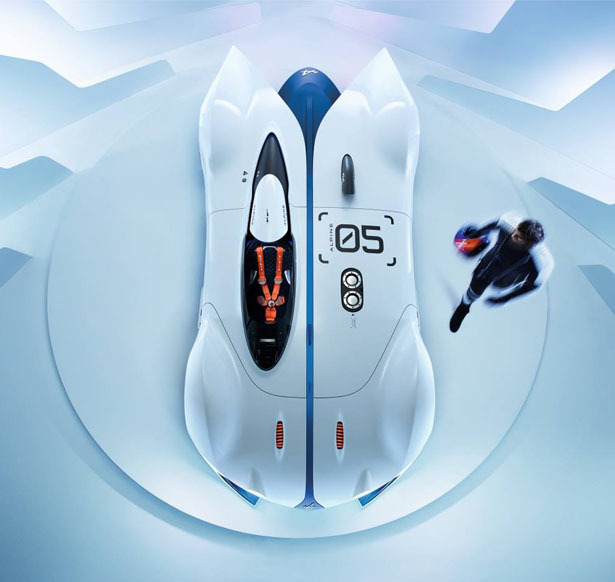 Bernard Ollivier, CEO of Alpine, says that the result of the design is so stunning that they couldn’t resist to produce an actual full scale model of it. 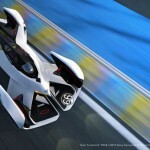 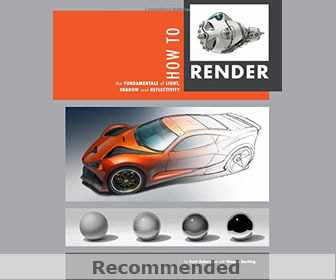 The full scale model is currently being displayed at the Festival Automobile International in Paris. 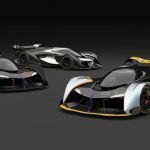 Back in 2013, Gran Turismo creator Kazunori Yamauchi and his team visited Apline’s studio to discuss the project. 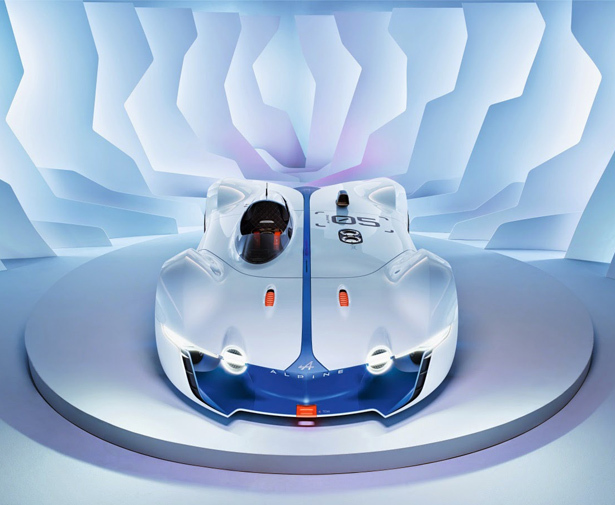 At that moment, the time matched with Alpine’s brand to comeback for its first car production which will be presented to the public in 2016. 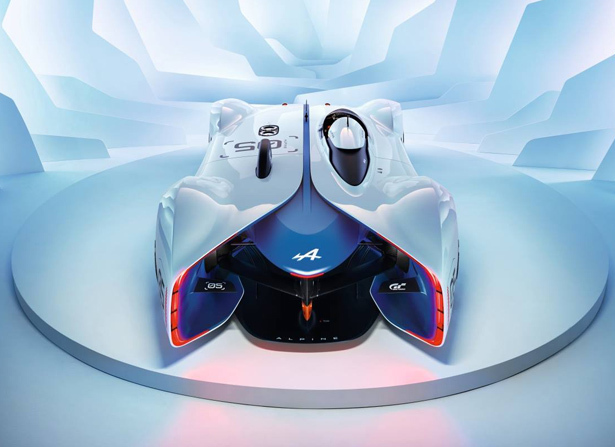 Alpine held in-house competition featuring 15 designs and was won by Victor Sfiazof, a masterpiece that represents lightweight, agile, and barquette-type car inspired by A450 Le Mans racing program. 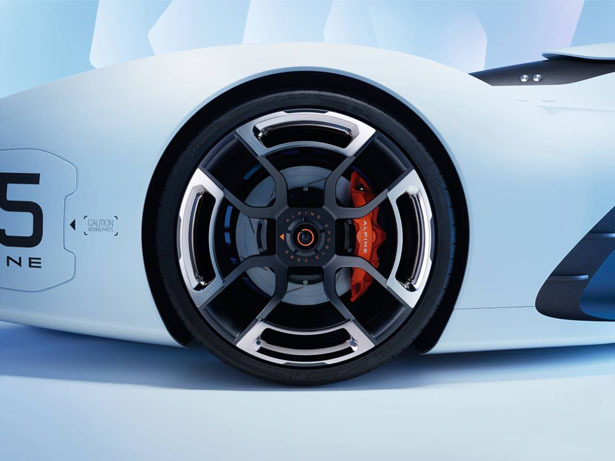 Victor explains that this genuine sports car is the result for his passion for cars as well as enjoyment for being behind the wheel. 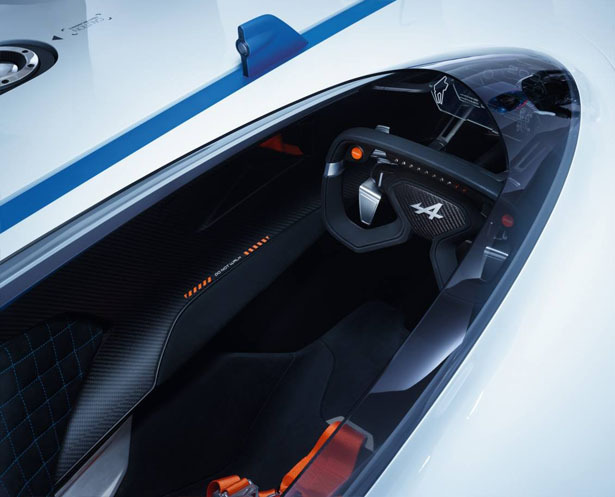 The boat shape was inspired by A110 while the vertical fins at the rear were based on A210 and A220, creating a real contribution to the car’s overall styling. 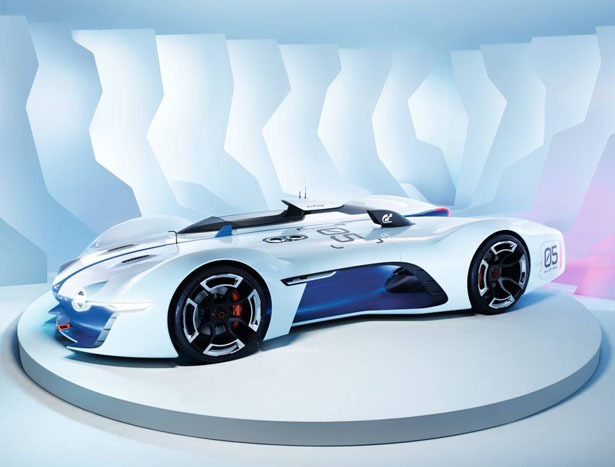 Through this concept car, Alpine’s genes are highly visible in styling. 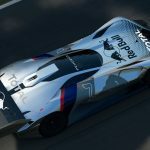 The Vision Gran Turismo project is a great setting for first real life rendering of the car since the announcement of Alpine’s revival broke cover. 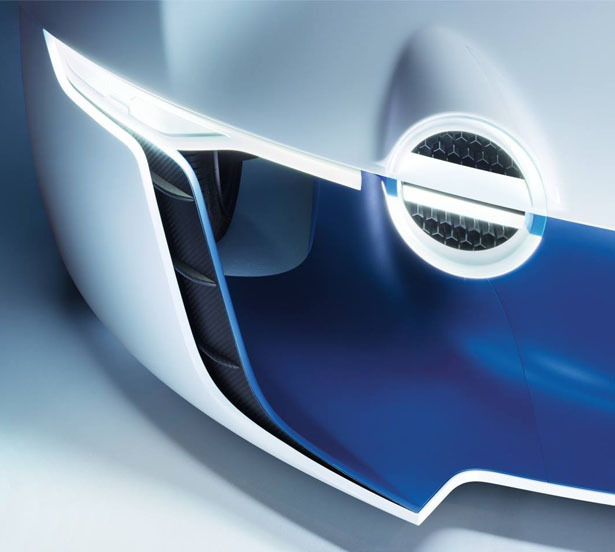 This car features the brand’s timeless agility with elegance borne out of efficiency and ingenuity. 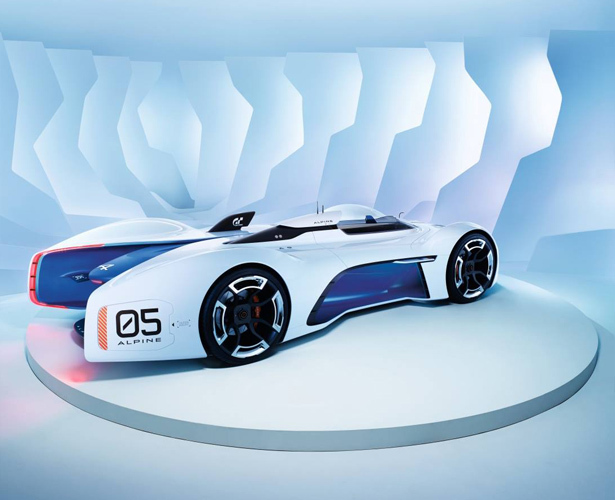 Even though it’s only a virtual machine, the team still adopts driving dynamics and handling characteristics worthy of its predecessors. 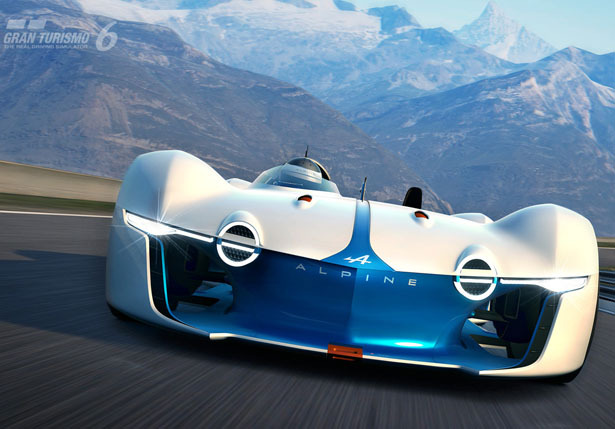 Fans of Gran Turismo 6 will be available to download Alpine Vision Gran Turismo free of charge from March 2015.